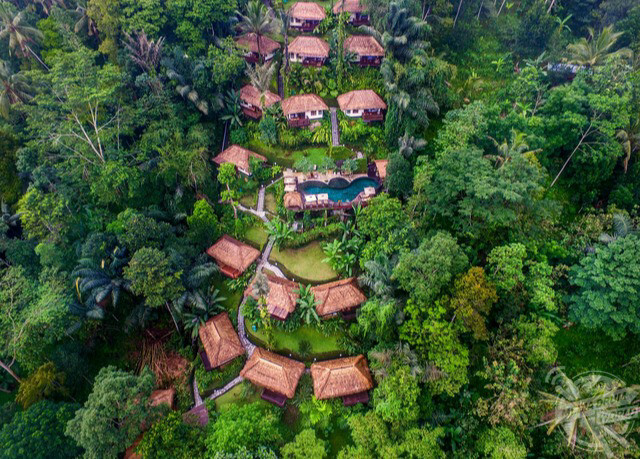 THESE EXCLUSIVE villas are as luxury as it gets and are located deep in the jungles of Bali yet guests can stay from as little as £116 per night for a limited time only. 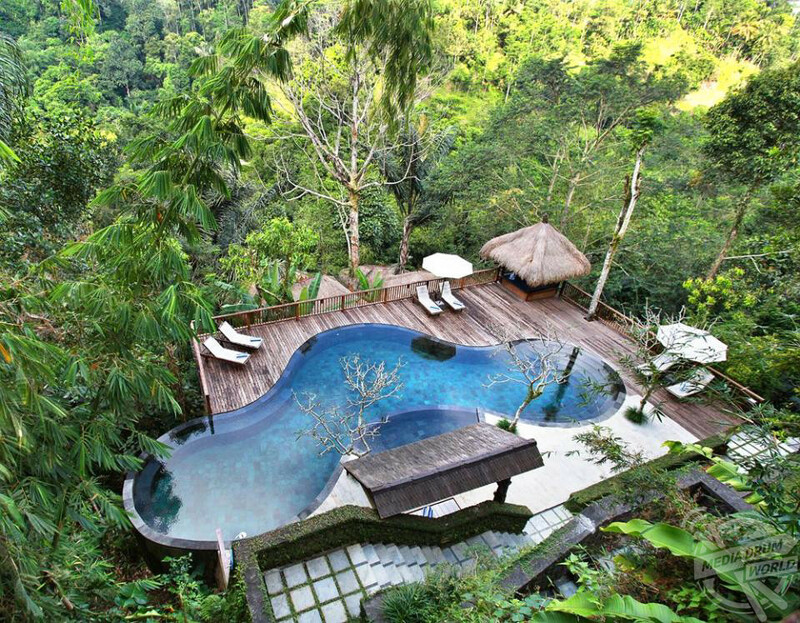 Nandini Jungle Resort & Spa in Bali, Indonesia is described as a captivating destination resort that blends smoothly with its natural surroundings above the mystical Ayung River in the Payangan rainforest. Images from the resort show the spectacular facilities on offer in this sensational location, from the beautiful communal pool which provides panoramic views across the jungle skyline to the exquisite open-air massage parlour. 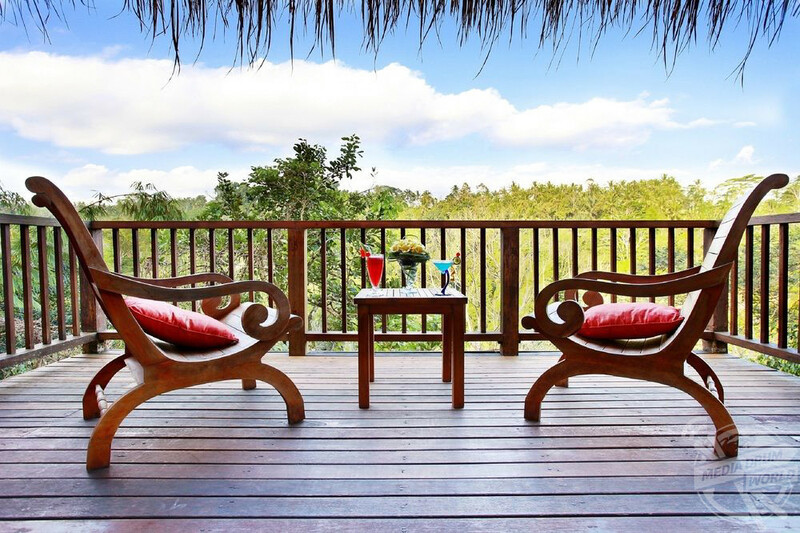 The Nandini Resort is modelled on a traditional Balinese village and is constructed from natural materials, effortlessly combining the luxury of five-star accommodation with the raw beauty of the forest. 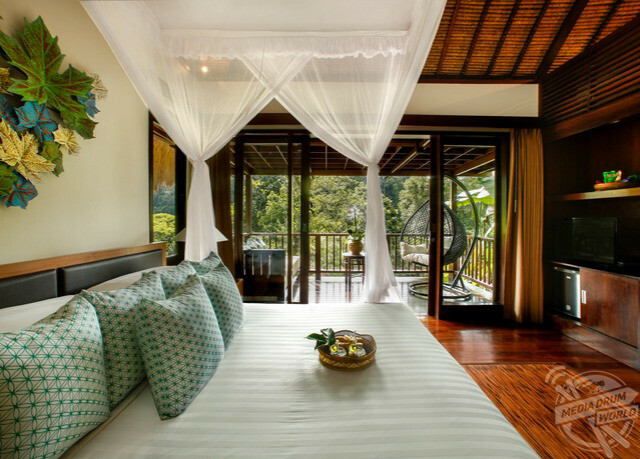 Each of the 18 traditionally inspired villas in the Nandini resort enjoys the embrace of the rainforest, each offering stunning views of the Ayung Gorge from their private balconies. All the properties are finished with a smart wooden interior complete with local textiles and a sizeable en-suite. Also available in each villa is an air conditioning unit, tea and coffee facilities, a minibar and even bathrobe and slippers ensuring guests have everything they need for the most comfortable and relaxing of stays. Additionally, guests will be provided with wi-fi access as well as a flat screen TV complete with satellite channels meaning that no one is left without their home comforts. 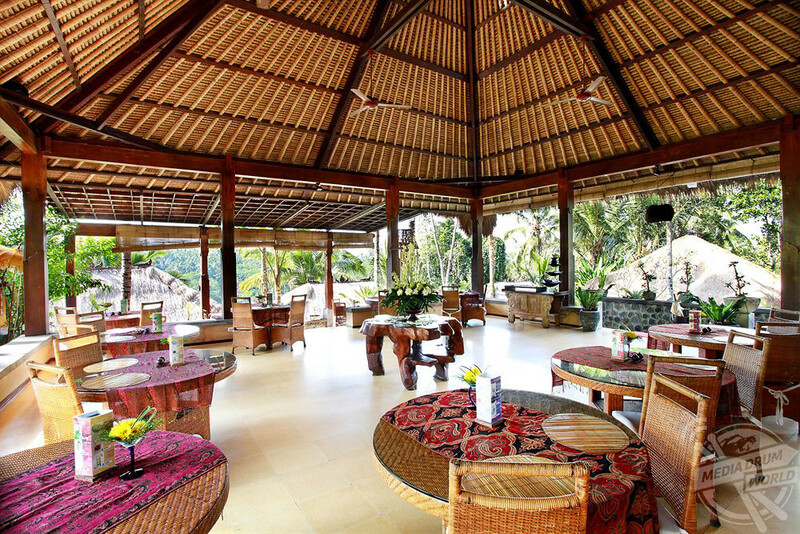 Elsewhere on-site, guests can sample the extraordinary Indonesian cuisine served up at the Wild Ginger Restaurant, all prepared with fresh local ingredients, much of which is grown and harvested from the resort’s own gardens, or even take a sip of some local Asian tea in the open-air Warung Teh Lounge. 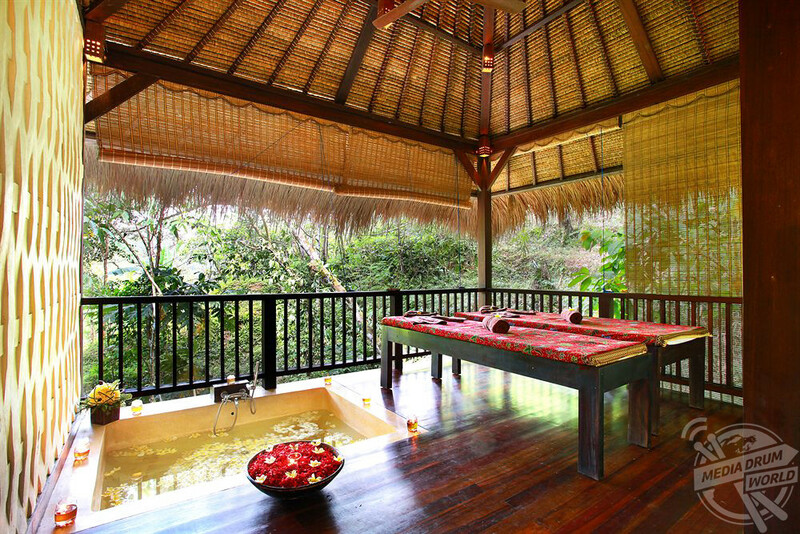 No trip to Nandini would be complete without a trip to the resort’s Sungai Spa, the heart of Bali’s wellness capital meaning you’re guaranteed to receive exceptional treatments and have all your worries kneaded away. 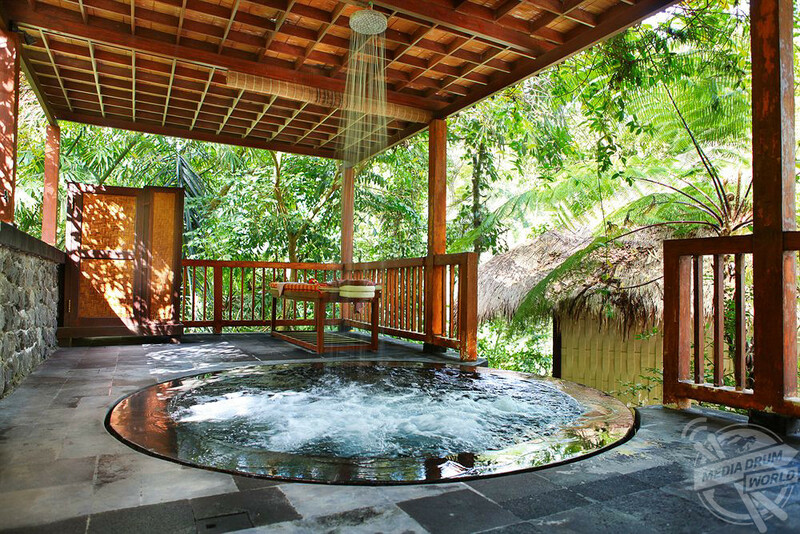 If you’re in need of something a bit more special, you can even opt for the riverfront spa experience where treatments take place on the banks of a holy lagoon that is surrounded by tumbling waterfalls and soft burbling waters. The spa offers a range of products including traditional massage, skincare treatments and a vitality jacuzzi whilst guests can engage in a yoga session with an expert instructor. 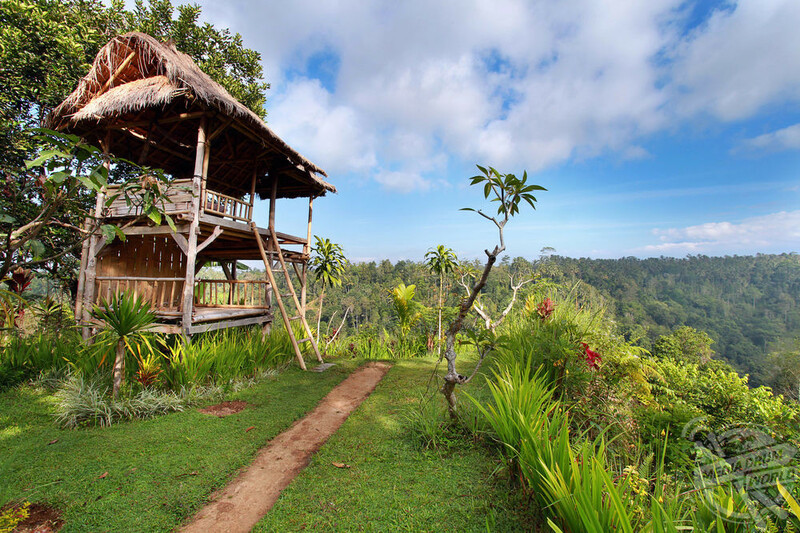 There’s also plenty to do away from the resort, with the Tegalalang Rice Terrace, one of the most famous tourist destinations in Bali situated just a few miles away. Elsewhere there are various wildlife experiences where you can get up close and personal with local animals such as monkeys and elephants or why not visit the numerous ancient temples in the surrounding area? Whatever you decide to do, Nandini Jungle Resort & Spa is guaranteed to offer you the trip of a life time, but book quickly as this deal won’t be around for long.